This 28.5" x 24" map of the heavens accurately shows the major stars, constellations, and Milky Way visible year-round from Australia, New Zealand and the entire southern hemisphere. Expose the map to light, and the stars and Milky Way glow for approximately two hours. It's a perfect tool for learning the sky while simply lying in bed! For all ages. 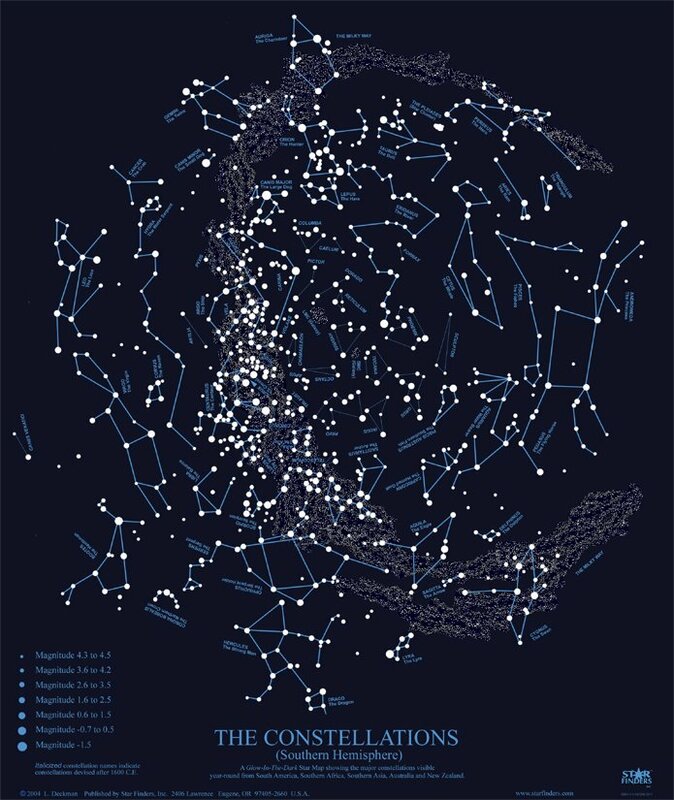 The Constellations of the Southern Hemisphere star map .